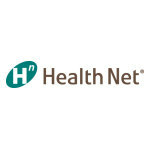 "We are delighted that our high-quality, state-of-the-art hospital and medical services now are available to those in Health Net’s Medi-Cal network"
STOCKTON, Calif.--(BUSINESS WIRE)--St. Joseph’s Medical Center is now part of Health Net’s network for San Joaquin County residents with Medi-Cal benefits. Medi-Cal provides no- or low-cost health care coverage for low-income individuals and families. Qualified individuals and their family members may sign up Medi-Cal coverage any time of the year. Health Net’s Medi-Cal coverage includes access to 24-hour Member Services and Nurse Advice lines, and no-cost coverage for specialty care, doctor visits – including transportation – and vaccinations. Anyone interested in obtaining Medi-Cal coverage may call Health Net at 800-327-0502 to determine if they qualify for the program. St. Joseph's Medical Center is a not-for-profit, fully accredited, regional hospital with 355 beds, a physician staff of over 800, and more than 2,300 employees. St. Joseph's specializes in cardiovascular care, comprehensive cancer services, and women and children's services including neonatal intensive care. St. Joseph's is the largest hospital, as well as one of the largest private employers in San Joaquin County. In addition to being nationally recognized as a quality leader, St. Joseph's is consistently chosen as the "most preferred hospital" by local consumers. Founded in 1899 by Fr. William O'Connor and administered by the Dominican Sisters of San Rafael, St. Joseph's continues to lead the region in medical innovation. St. Joseph's Medical Center is committed to delivering compassionate, high-quality, affordable health care services with special attention to the poor and underserved. In FY 2017, St. Joseph's provided over $48 million in charity care, community services, and unreimbursed patient care. 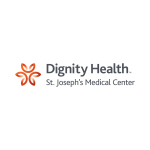 St. Joseph's Medical Center is a member of Dignity Health, a system of ancillary care sites, medical foundations, and acute care hospitals serving California, Arizona and Nevada. For more information, please visit StJosephsCares.org.